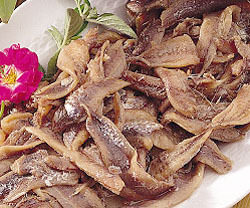 Anchovies are a small, shiny, silver fish of the Mediterranean area and thus very popular in the local cuisine. 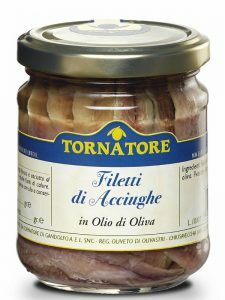 Many recepies use anchovies for a punch of flavor where the anchovies are neither recognizable visually nor by the taste buds. Anchovies are often that secret ingredient that you just can’t put your finger on, the one that really makes the recipe pop. Ideal as Pizza dressing and Antipasto Salad but also for classic recipes contain anchovies such as Worcestershire sauce, Remoulade sauce and Green Goddess dressing .